As summer has officially kicked off, many Canadians are planning to make their vacation dreams a reality. For many, that may include the purchase of a vacation property such as the cottage on the lake. Purchasing a vacation property is a major decision that requires not only a significant financial commitment but also time and maintenance commitments. However, for many vacation property owners these commitments are worth the benefits that arise from owning the property. If you are one of those Canadians dreaming of finally buying a vacation property, take the time to weigh the pros and cons and evaluate if second home ownership is right for you. Excellent investment opportunity: Purchasing a vacation home in a popular destination such as the Muskoka region in Ontario or Whistler, BC, is a guaranteed sound investment. In addition, you can expect an excellent return on your investment if you do ever considering placing the property on the resale market. Rental income: it is very likely you won’t be spending all 52 weeks at your second abode. Hence, you can derive additional rental income during the times the home is vacant. Retirement test drive: Many purchase a vacation property at a destination they dream of spending a significant portion of their post-work retirement life at. 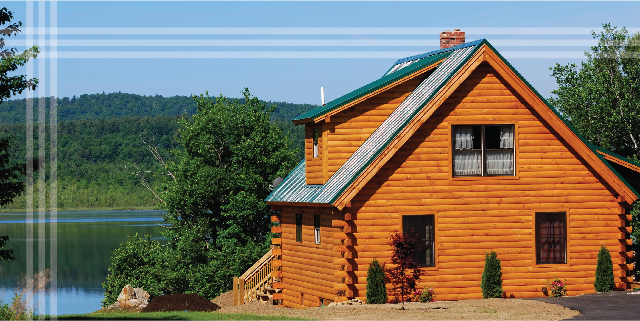 Before making that commitment, investing in a vacation property allows you to “test drive” your retirement and see if spending endless days at the lake is really for you. Conveniences: Say good-bye to high-season hotel rates, limited vacancies and hello to packing up your bags and going on a whim. Owning a vacation property allows for spontaneity and flexibility when making vacation plans. Fees: Owning a second property does not come cheap of course. Whether your purchase a small cabin or a large chalet, you will be privy to all costs associated with purchasing a home such as buying furniture and so forth. Mortgage Costs: In relation to the above, you must factor in mortgage costs. You will typically have to have a down payment of 20-30% and of course, the regular monthly mortgage payments. Upkeep: As with your current home, you are responsible for cleaning, maintenance and general upkeep. Unless you have room in your budget for maid services, be prepared to roll your sleeves up to ensure your vacation home is kept clean and well maintained. Justification: Since you made the investment you will feel obliged to visit it. Make sure you will love it as much as you do right now. If you need more advice or information regarding purchasing a second property as a vacation home contact a MA broker today.